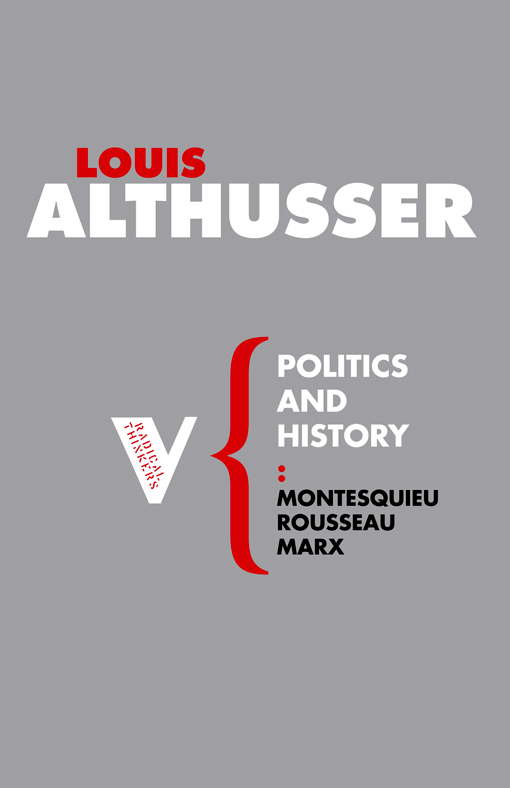 To celebrate the first full, unabridged English translation of the seminal text in twentieth-century Marxism, Reading Capital, we have 50% off all of our Althusser books until Monday 25th July. 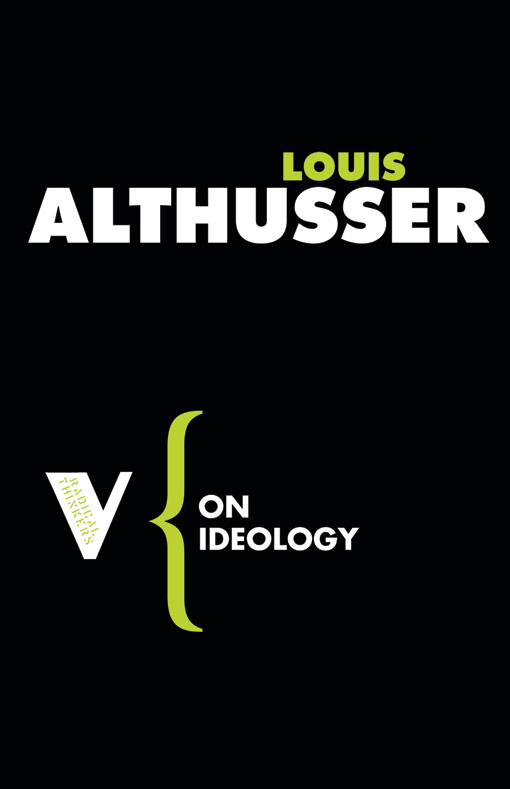 If anything, this emphasis on the contingent and provisional character of relations of force drove Althusser to elaborates a different mode of philosophical practice, as intervention. Like Spinoza and Marx before him, for Althusser the ultimate question confronting intellectuals and theorists is the following: what material effects have your works produced? We can add: how have they become “historically active,” or from a more partisan perspective, how have they been adopted and taken up in the organizational forms of class struggle?7 How have they “made things move,” faire bouger?The “Gramscian” inflection that Althusser’s works of the mid-70s indicate this desire to grasp the terrain of theory as one of contestation and struggle: “what occurs within philosophy maintains an intimate relation with what occurs in ideologies,: and “what occurs within ideologies maintains a close relation with the class struggle.”8 This refractory relationship means that the concepts we produce, the categories we focus on, the texts we publish, have determinate effects, and are a specific modality of practice. 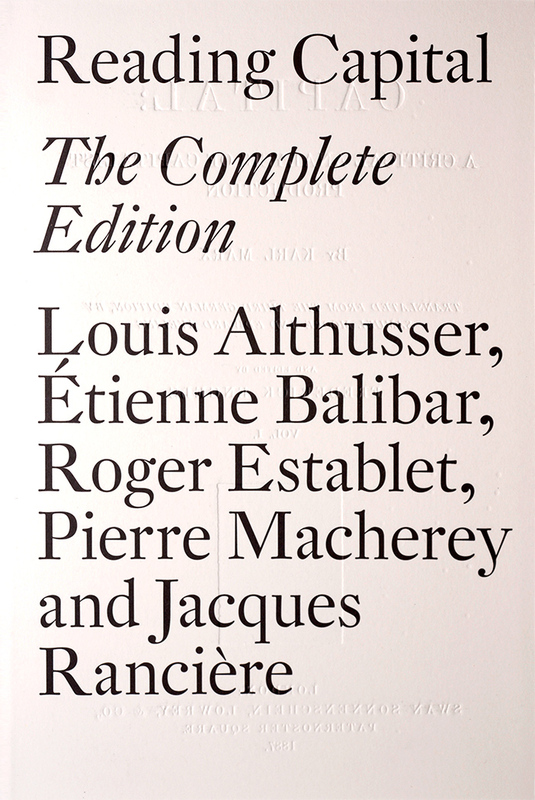 Along these lines, the coming English publication of How to Be a Marxist in Philosophy and Philosophy for Non-philosophers, discussed at length in one of the pieces in this dossier, are the most substantial articulations of Althusser’s a materialist “nonphilosophy” refined during this periods and which he hoped would foster “new forms of philosophical existence.” Near the end of How to Be a Marxist in Philosophy, Althusser advances an implicit critique of his earlier attempts to formulate a “Marxist philosophy,” present in a “practical state” in Marx’s texts. In fact, Marxism offers no possibility for an alternative philosophical system: Now there is only a Marxist position in theory: “There is no Marxist philosophy, and there cannot be a Marxist philosophy.”9 This materialist position, as Hasana Sharp has argued, is cognizant of its “precarious and tentative status as produced within, and productive of, its current conjuncture.”10 It is not a question of entering into the “theoretical laboratory” of idealist philosophy and its ideological hegemony for matters of repurposing – the materialist philosopher seeks to smash the tools and break the workbench. 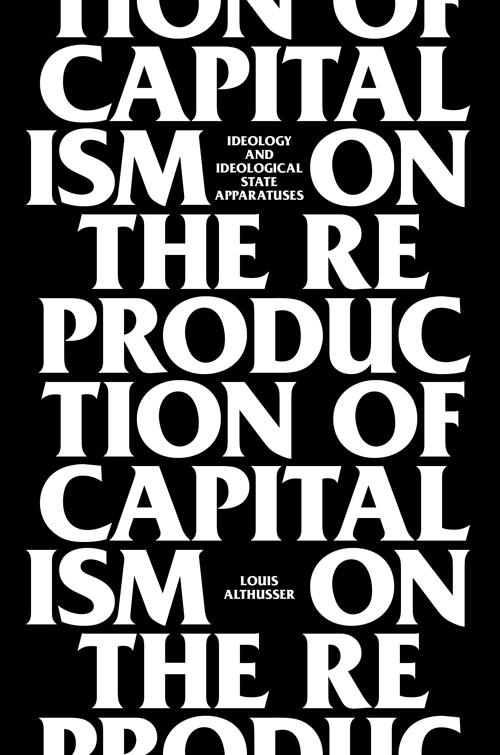 The shortage of precedents for this endeavor, even in the Marxist tradition, should be evident; Althusser’s mainstay examples are Marx, Lenin, Mao and Gramsci’s own theoretical interventions, and the way in which their thinking was formed and developed within the working class movements of their respective times.17 But it is in light of this ambitious project of intervention that we we should read some of Althusser’s final texts: “Marx in His Limits,” “Marxism Today,” and others. How do we rethink not only the history of Marxism, but also the forms in which it is practiced and received? How do we map the possible intersections between between intellectual intervention and militant practice? Althusser’s corpus shows that these questions are anything but easy to answer, and can never be configured before the fact. The texts in this dossier, from different perspectives and modes of presentation, rearrange a certain image of Althusser. 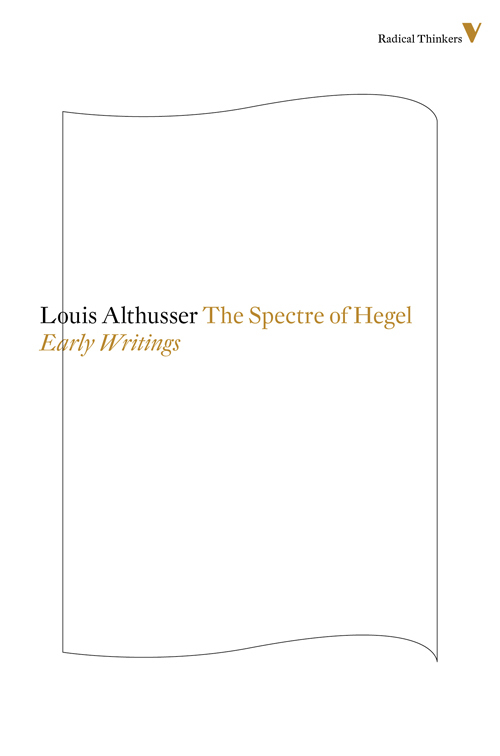 But if read carefully, it should be clear that the rhythm and pace of Althusser’s thinking prevented any one “distillation” in the first place, any single coherent center: nor did it have one stable object or target. 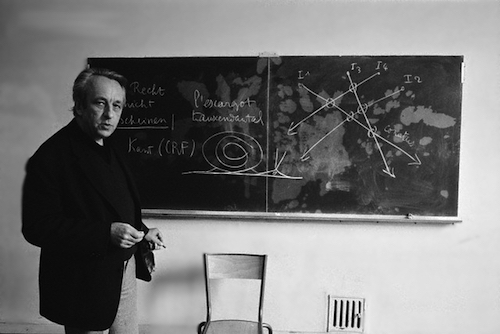 Althusser’s philosophical strategy – his way of inhabiting theory – might still yield considerable effects. Étienne Balibar, “Postscript to the English Edition,” in On the Dictatorship of the Proletariat, trans. Grahame Lock (London: NLB, 1977), 218. I owe this turn of phrase to Asad Haider. For an artful overview of these difficulties of periodization, see Yoshihiko Ichida and François Matheron, “Un, deux, trois, quatre, dix mille Althusser? Considérations aléatoires sur le matérialisme aléatoire,” Multitudes 21, no. 2 (2005): 167-78. 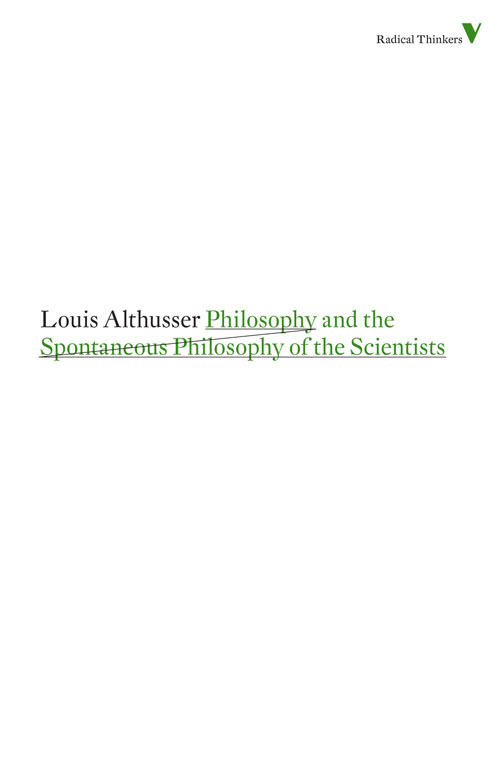 Louis Althusser, “Philosophy and the Spontaneous Philosophy of the Scientists, trans. Warren Montag, in Philosophy and the Spontaneous Philosophy of the Scientists and Other Essays, ed. Gregory Elliott (New York: Verso, 1990), 143. 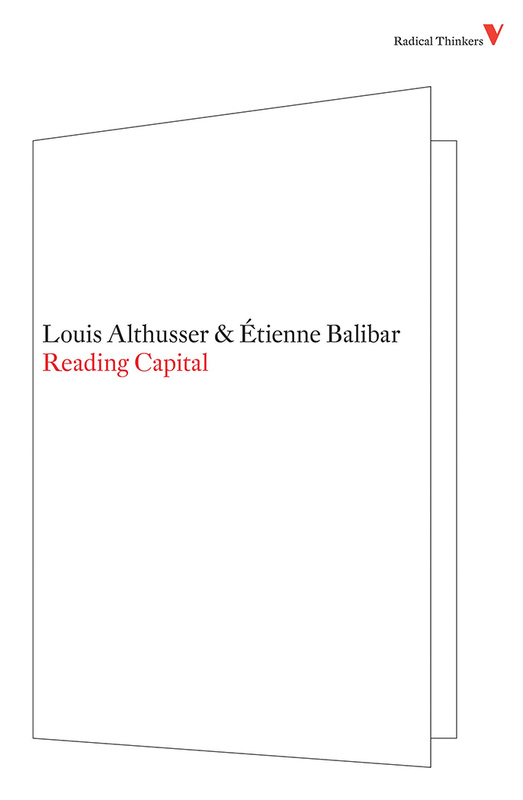 For a still enlightening read, indicative of the extent to which Althusser and his intellectual circle were misread in an English-speaking context, see the interview with Étienne Balibar and Pierre Macherey conducted by James H. Kavanagh and Thomas E. Lewis in Diacritics 12, no. 1 (Spring 1982): 46-51. 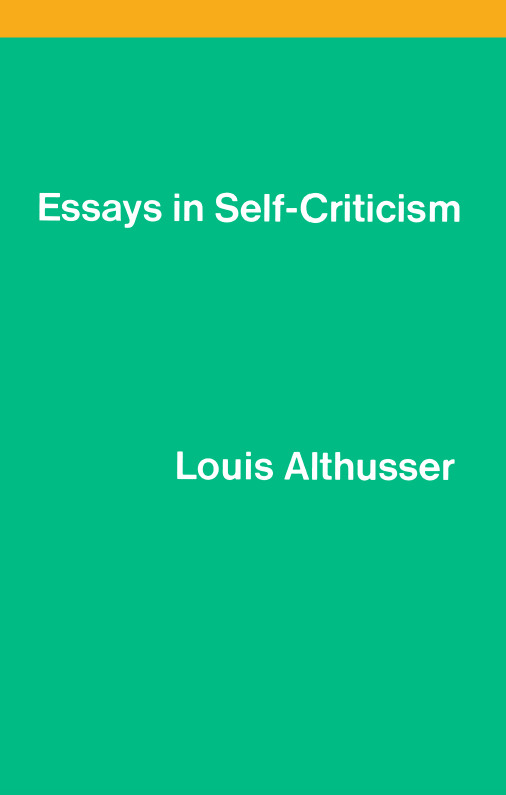 See Louis Althusser, “Marxism Today,” in Philosophy and the Spontaneous Philosophy of the Scientists, 276. Warren Montag, Althusser and His Contemporaries: Philosophy’s Perpetual War (Durham: Duke University Press, 2013), 11, 95-96ff. See in particular Montag’s elegant way of conjugating the different “phases” of Althusser’s thought in this attempt, as a way of grasping “structure as singularity (Spinoza) and conjuncture (Lucretius), while simultaneously and indissociably thinking singularity and conjuncture as structure” (96). See Warren Montag, Bodies, Masses, Power: Spinoza and His Contemporaries (London: Verso, 1999), xxi; Louis Althusser, “Marxism Today,” 275. Louis Althusser, “The Transformation of Philosophy,” in Philosophy and the Spontaneous Philosophy of the Scientists, 256. 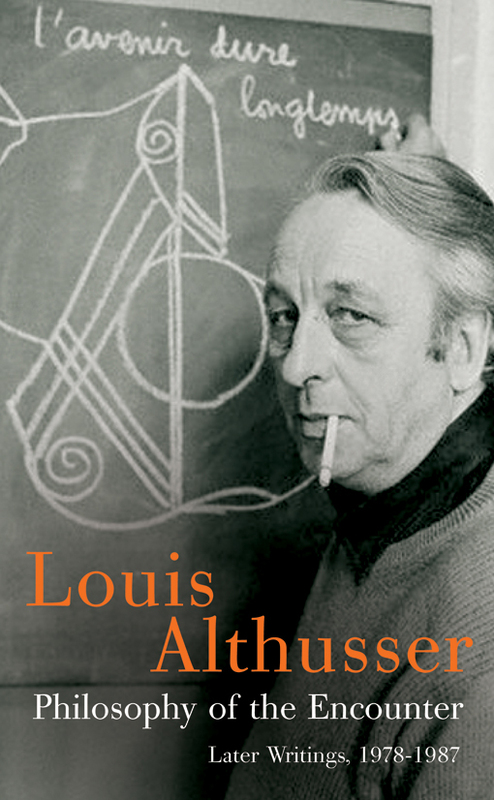 Louis Althusser, Être marxiste en philosophie, (Paris: Presses Universitaires de France, 2015), 314. Étienne Balibar, in his The Philosophy of Marx, offers a similar, and probably more well-known formulation, drawing on Althusser: “there is no Marxist philosophy and there never will be,” and that Marx’s theoretical practice entails a “non-philosophy, even an anti-philosophy.” See Étienne Balibar, The Philosophy of Marx, trans. Chris Turner (New York: Verso, 1995), 1-2. Hasana Sharp, ““Is It Simple to be a Feminist in Philosophy?”: Althusser and Feminist Theoretical Practice,” Rethinking Marxism 12, no. 2 (Summer 2000): 18-34. Althusser, “The Transformation of Philosophy,” 265. For an interesting elaboration on what this relationship or “way of articulating” philosophy and communist political practice, see Alberto Toscano, “The Detour of Theory,” Diacritics 43, no. 2 (2015): 85. For an excellent study on the overlap between political currents and intellectual currents in the Paris Commune, see Kristin Ross, Communal Luxury (New York: Verso, 2014). Also see her May ‘68 and Its Afterlives(Chicago: University of Chicago Press, 2002), Chapter 2. 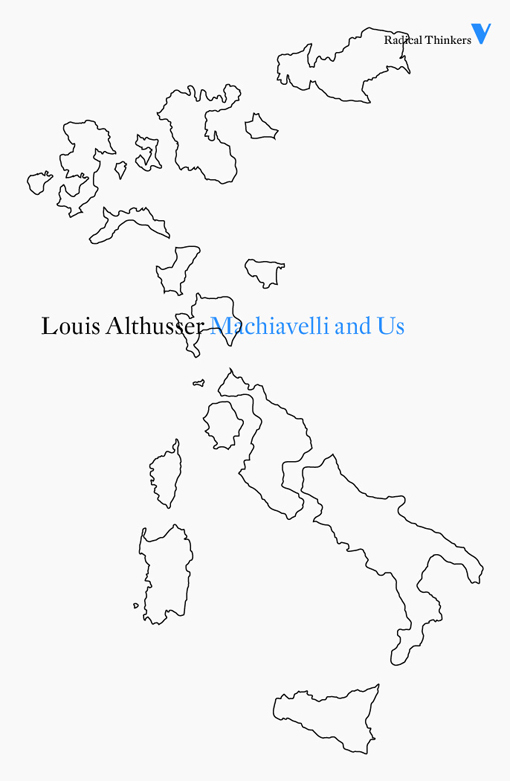 Augusto Illuminati, “Recent Italian Translations of Althusser’s Texts on Aleatory Materialism,” trans. Arianna Bove, Borderlands 4, no. 2 (2005). 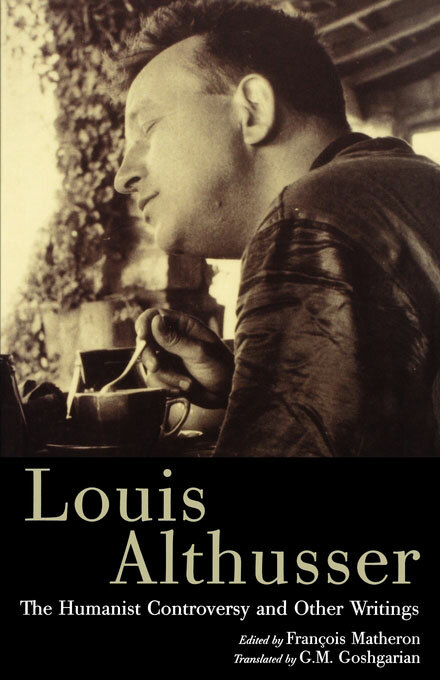 For the Althusser text in question, see “Portrait of a Materialist Philosopher,” in The Philosophy of the Encounter: Later Writings, 1978-1987, trans. GM Goshgarian and ed. François Matheron and Olivier Corpet (New York: Verso, 2006), 290-291. See Pierre Macherey “Théorie,” in Dictionnaire critique du marxisme, ed. Gérard Bensussan and Georges Labica (Paris: PUF, 1982), 1142-1148. On Althusser’s theoretical and political relationship to Mao and Maoism, see Étienne Balibar, “Althusser et Mao,” Revue Période, May 18th, 2015. The first full and unabridged English edition of Reading Capital is now available to purchase from the Verso website. 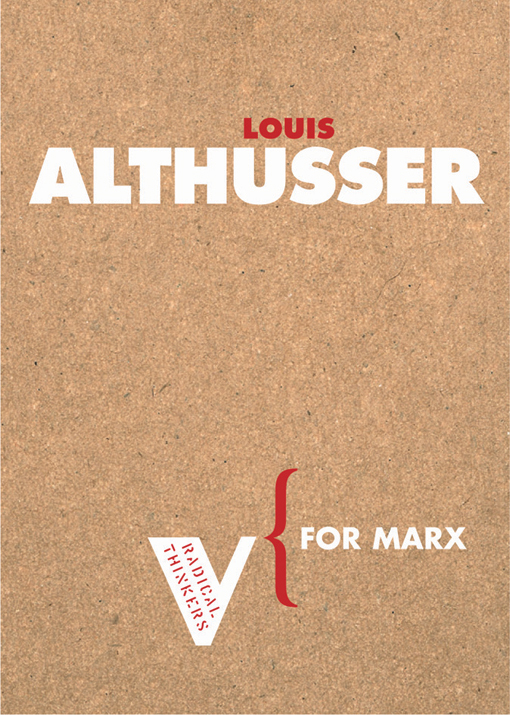 All our books by Althusser are available with 50% off all this week.